The Pushkin Museum of Fine Arts is the largest museum of European art in Moscow, located in Volkhonka street, just opposite the Cathedral of Christ the Saviour. 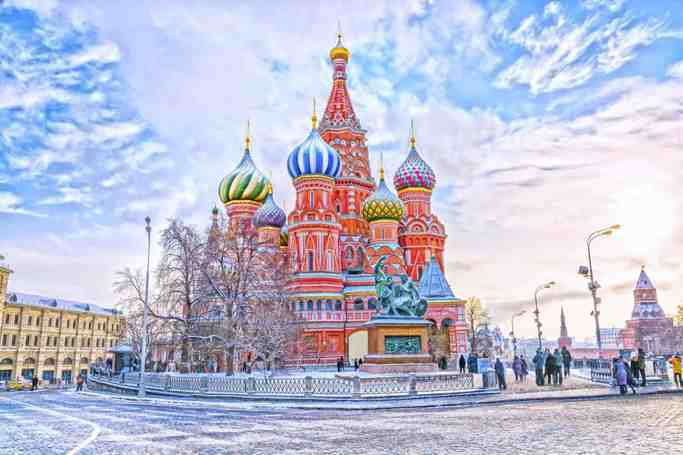 The museum's name is misleading, as it has nothing to do with the famous Russian poet. It was founded by professor Ivan Tsvetaev (father of the poet Marina Tsvetaeva). Tsvetaev persuaded the millionaire and philanthropist Yuriy Nechaev-Maltsov and the fashionable architect Roman Klein of the urgent need to give Moscow a fine arts museum. Designed by Klein and Shukhov, financed by Maltsov, the museum building was constructed from 1898 to 1912. Tsvetaev's dream was realised in May 1912, when the museum opened its doors to the public. The museum was originally named after Alexander III, although the government provided only 200,000 rubles toward its construction, in comparison with over 2 million from Nechaev-Maltsev. Its first exhibits were copies of ancient statuary, thought indispensable for the education of art students. The only genuinely ancient items - Moscow Mathematical Papyrus and Story of Wenamun - had been contributed by Vladimir Golenishchev three years earlier. After the Russian capital was moved to Moscow in 1918, the Soviet government decided to transfer thousands of works from St Petersburg's Hermitage Museum to the new capital. These paintings formed a nucleus of the Pushkin museum's collections of Western art. But the most important paintings were added later from the State Museum of New Western Art. These comprised Impressionist and Post-Impressionist artwork, including top works by Van Gogh, Gauguin, Picasso, Dufrénoy and Matisse. In 1937, Pushkin's name was appended to the museum, because the Soviet Union marked the centenary of the poet's death that year. 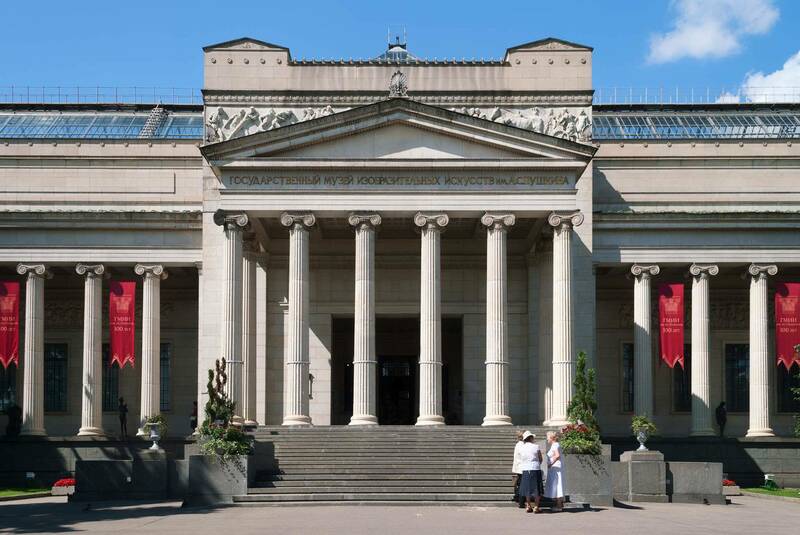 After the World War II the evacuated Dresden Gallery had been stored in Moscow for 10 years. The Dresden collection was finally returned to East Germany, despite strong opposition from the museum officials, notably Irina Antonova, who has been running the museum since February 1961. The Pushkin Museum is still a main depositary of Troy's fabulous gold looted from Troy by the German archaeologist, Heinrich Schliemann and taken by the Soviet Army (Red Army) from the Pergamon Museum in Berlin. 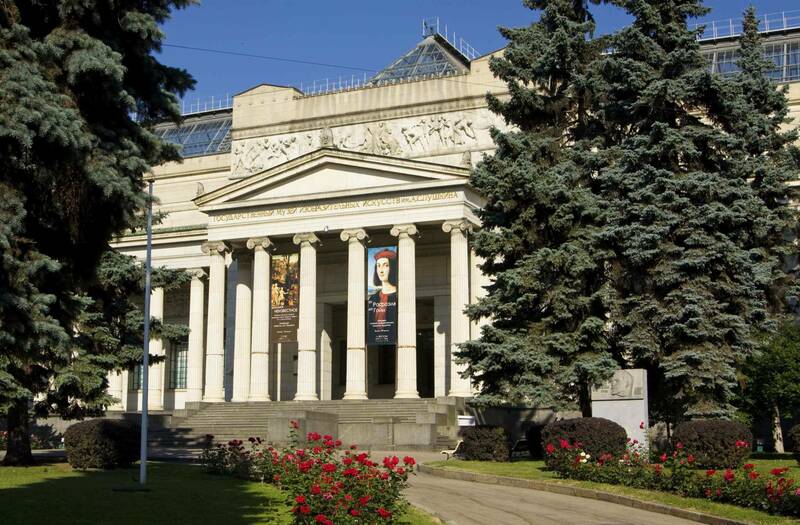 Pushkin Museum | eTips Inc.